The 17th century Seville was a city of contrasts. On one hand, powerful, rich, colorful, full of richness and magnificent monuments and on the other, a city marked by poverty and disease. By mid-century, tragic events happened to the Spanish monarchy as to the city itself. In Europe the Peace of Westphalia was signed, which implied that Spain was turning into a second-rate world power. 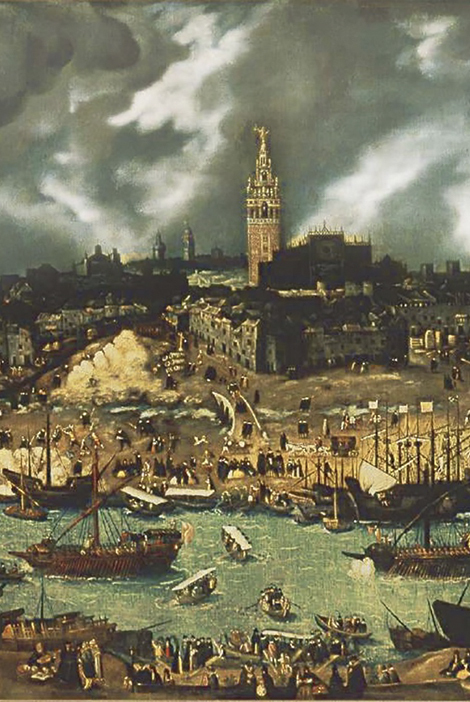 In Seville, the popular riots of 1642, the Black Death of 1649, the drought of 1682 along with the floods of 1683 caused the disappearance of a large amount of population as well as the gradual weakening of its social and economic structure. This led to a relocation of the Casa de Contratación (House of Commerce) to Cádiz in 1717. In relationship with art and culture, due to grand artists such as Murillo, Roldán or Valdés Leal, who worked on the decoration of the Holy Charity Hospital, the city could continue to be an outstanding cultural centre. "The 17th century is the century of splendour and decadence, the sunrise and sunset, as defined by Professor Domínguez Ortiz. We are facing a century divided into two, which cracks when the ghost of the Black Death appears in 1649. Gold and silver from the Indies gave way to fear of death. Thus emerged the best artworks of the Baroque, an artistic movement linked to the Counter-Reformation and providing Seville with an artistic heritage difficult to be compared with in Europe. On one hand, luxury and ostentation. On the other, demographic and social economic crisis which made the city fall down into a state of depression which would take centuries to recover from. This is the 17th century all about. The century of Mañara, Velázquez, Martínez Montañés, Juan de Mesa, Alonso Cano, Pedro Roldán, …” From “History of Seville ", Francisco Robles and Álvaro Pastor Torres. Signatura Editions. Seville, 2006. Venerable Miguel Mañara. Life and death. Miguel Mañara was born in Seville on March 3rd 1627 in a merchants’ family of Corsican origin. His father Tomás Mañara, married to Doña Jerónima Anfriano Vicentelo, made ​​his fortune in the trading business, getting a prestigious position for his family. Miguel Mañara received from childhood the typical education corresponding to his status of nobleman, with just ten years he joined the Order of Calatrava. At the age of thirteen and after his older brothers died, he becomes heir to the Primogeniture. In 1648, after his father died, he gets married by proxy to Doña Jerónima Carrillo de Mendoza assuming his duties as provincial member of the Santa Hermandad (Holy Brotherhood) and Mayor of Seville, as well as its own business developed through the consulate of merchants. In 1661, after his wife’s death, he suffered from a deep personal crisis that led him to question his lifestyle. In a short period of time he began a process of true conversion and penance. Miguel Mañara understood how transitory earthly life was and decided to embrace religious life as a hermit retiring to the Sierra de Ronda in Málaga. After several months in isolation, tempered by the practice of asceticism, he returned to Seville as a deeply renewed man, ready to carry out a pleasant work for God and to satisfy the demands of his conscience. At that time he discovered the quiet and humble work carried out by the Brotherhood of the Holy Charity and insisted on joining them as a brother. Being aware of the miseries and difficulties of the humblest, he began to propose new ideas to help the disinherited. Although his ideas were shared by other brothers, they could not be achieved through the economic means of the brotherhood. He was elected as President of the Brotherhood in 1663, a position he would hold until his death. First he promoted the hospice and finally the hospital of Holy Charity. Thanks to his humility, determination and great ability, Miguel Mañara gave a great impulse to works of the Brotherhood and drafted a new Rules. Besides, San Jorge’s Church and the hospital were built thus becoming the re-founder of the Holy Charity’s Brotherhood. After his death, Miguel Mañara started to be venerated, not only by the brothers of the Holy Charity themselves but also by many people in Seville. This encouraged the Archbishop Spínola to take up the cause of beatification through a diocesan process that was ended one year later. 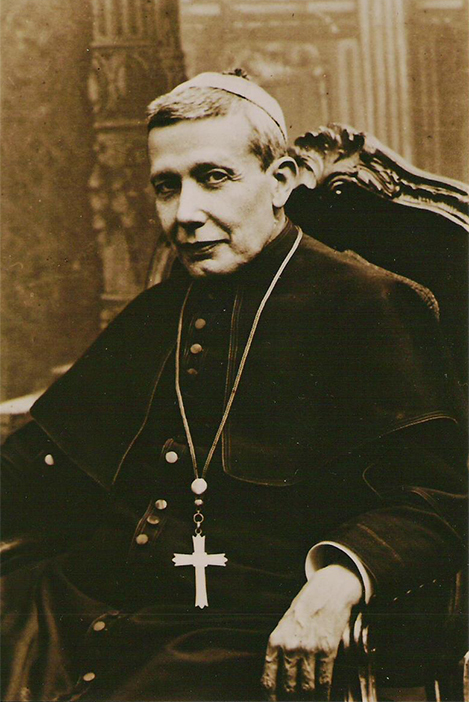 After historical ups and downs which delayed the beatification process, such as the material loss of documents stolen by Napoleonic troops, Blessed Marcelo Spínola, Cardinal Archbishop of Seville, and brother of the Holy Charity Brotherhood returns to support this cause in the early 20th century. 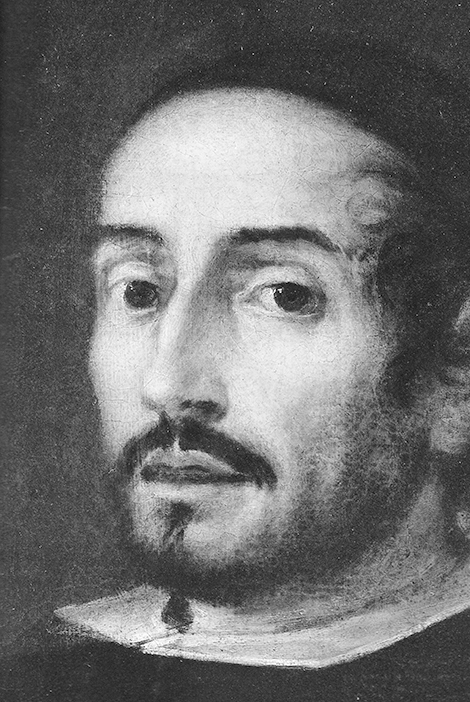 As Monsignor Giovanni Lanzafame, Chaplain of the Brotherhood says: "The figure of Mañara is basically a very modern secular figure: he has lived after the Council of Trent period, he is a Venerable and a potential Blessed and Saint, who has fully lived the love for the Gospels and he incarnated the faith and the hope worthily. The Venerable has impregnated the Brotherhood with that charisma throughout all his life as a brother and his spirit still "lives" in this Holy House”. On July 6th, 1985, His Holiness Pope John Paul II declared Miguel Mañara’s virtues at a heroic degree, thereby giving to the Servant of God the title of Venerable. 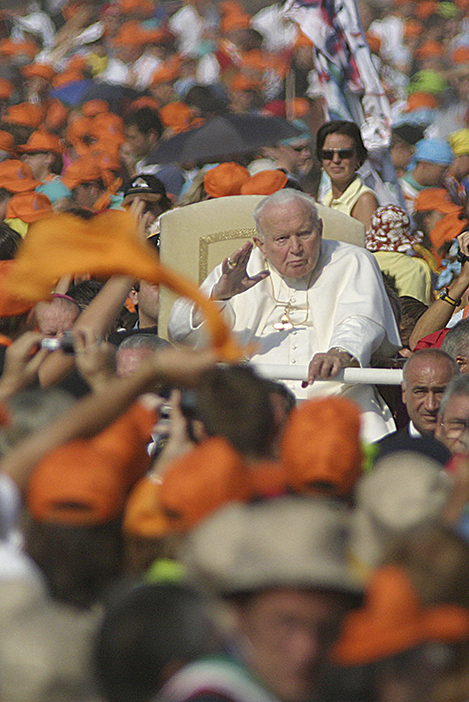 The Brotherhood remains actively engaged in continuing the beatification process by contacting its postulates and also receives communications from believers and devotees who have received graces from the hand of Venerable Miguel Mañara. This information and communications expand the file and the Cause, which one day (God willing) will be able to conclude with the final declaration of the sanctity of Miguel Mañara. On the 9th of each month a commemorative Eucharist is held by the Brotherhood. Afterwards, the attendees can venerate him in the Crypt of the Church.